Victoria Brannigham had a guilty pleasure. Every day she would take a detour, sit on the boardwalk, and wait. She tried not to covet what could never be hers. 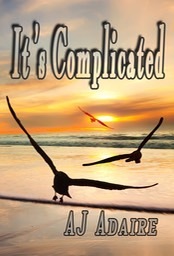 Beverly McMannis was lonely, until she discovered another lesbian on the island. Bev eagerly embraced the growing friendship with her neighbor. Victoria was honest with Bev right from the start; explaining that she wasn't free to explore their attraction. Bev promised to honor the boundaries. Love isn't always easy, sometimes it's complicated...especially when she doesn't know you're still being faithful.